Charles Ryrie…. Lordship “salvation” advocate? God does not debate the requirement for eternal life – He declares it. Man receives eternal life by Grace alone through Faith alone in Jesus Christ alone. (Ephesians 2:8-9) – or, he does not receive eternal life at all. God does not negotiate with mankind the terms of Eternal Life — His promise and the terms are clearly spelled out in His Word, the Bible. John 3:16-18 and many other verses declare, Believe on Jesus Christ and live eternally with Him — believe NOT and remain condemned eternally (forever). Those who would try to negotiate, debate, bargain or strike a “deal” with God are fighting a losing battle for themselves and those whom they influence. It is a battle for eternity. Charles Ryrie is guilty of promoting (threatening?) Lordship “salvation” to his readers in his books “Ryrie Study Bible” and “So Great Salvation”. “James 2:24 [“Ye see then how that by works a man is justified, and not by faith only”] is the reply to the question of James 2:14. Unproductive faith cannot save, because it is not genuine faith. Faith and works are like a two-coupon ticket to heaven. The coupon of works is not good for passage, and the coupon of faith is not valid if detached from works” (Ryrie Study Bible, comment under James 2:24). That is a catchy phrase but it is an un-scriptural, anti-Grace one. The unity of God was a fundamental belief in Judaism. But if that belief did not produce good deeds, it was no better than the “monotheism” of the demons. = demons.tremble = shudder. (Ryrie Study Bible, comment under James 2:19). Nevertheless, every Christian will bear fruit; otherwise he or she is not a true believer. In speaking about the Judgment Seat of Christ, Paul says unequivocally that every believer will have praise come to him from God (1 Corinthians 4:5). It is really puzzling that Ryrie insists that all Christians will bear fruit, based on 1 Corinthians 4:5, a verse in which fruitfulness is not even mentioned. This seems, for Ryrie, to trump 2 Peter 1:8 (in which “barren” and “unfruitful” are both used). The problem with people who insist that all Christians will bear fruit, even those who “soften it up” like Ryrie, is that we cannot look to fruit we have borne for assurance of salvation. If we cannot look to fruit in our own lives as evidence of having eternal life, of what possible consequence is it to insist that “true believers” will bear fruit? Is Ryrie trying to threaten believers into bearing fruit or else he declares their faith is non-existent? What is the different between Ryrie’s philosophy and that of John MacArthur or Calvin or Piper? In essence, nothing!! It seem perfectly and Biblically logical that anyone who sincerely understands the meaning of God’s Grace would NEVER stipulate any works requirement for or fruit to prove one’s salvation, whether past, present or future, yet too many teachers/preachers do just that, even those who present themselves as heroic proponents of free Grace. How could anyone who knows the truth of the Gospel of God’s Grace teach that works are required to get into heaven? What could possibly have motivated Ryrie to compromise the gospel in his books? Was he trying to “coexist” with the works salvationists? Was he trying to sell books? Was he trying to gain recognition? Or, did he really believe what he wrote? It is simply impossible to tell. 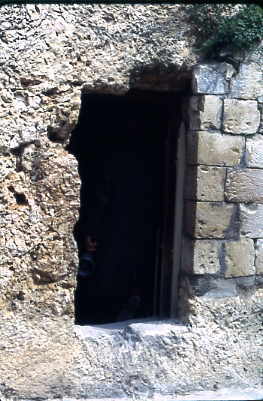 The “Garden Tomb” in Israel. Thankfully, the Cross on Calvary is empty~ The tomb where He lay is empty. Beware those teachers who would deny the power of the Resurrected Christ to have paid for ALL sins of the whole world. As He said on the Cross, “It is finished”!!. “Salvation isn’t the result of an intellectual exercise. It comes from a life lived in obedience and service to Christ as revealed in the Scripture; it’s the fruit of actions, not intentions. There’s no room for passive spectators: words without actions are empty and futile…The life we live, not the words we speak, determines our eternal destiny“ (John MacArthur, Hard to Believe, p. 93). We believe in a living resurrected Savior Who was crucified, buried and rose again as our substitute sin-debt payment. Jesus alone is the object of our faith. Our friend Mark Andre has produced an amazing Biblical video, proclaiming the Truth of the Gospel of Grace and exposing all that is wrong with Lordship “salvation,” Calvinism and other false teachings. Mark called several months ago asking permission to use some material and ideas from ExPreacherMan.com. We are happy we consented. The progression of the video keeps your attention — Mark explains the simplicity of the Gospel of Grace and then, naming names, he exposes the preachers and proponents of “works salvation” (Probation). This mission is especially important to Mark because his is a former member of John MacArthur’s church. He realized the Truth, abandoned the lie perpetrated by JMac and is dedicated to exposing those who insist on adding works to the Gospel of God’s Grace. This is a must watch video. Please recommend it to your friends, especially those who may be mixed up in false teaching. It is also a good doctrinal review for all believers. What are The Motives Behind Lordship “Salvation” and Other False Teachings? We can certainly assess and discern a false “gospel” message. That would be adding anything to the Gospel of salvation by Grace through faith in Jesus Christ alone. If we see or hear ANY teacher, Pastor, CD — or read any books, web sites or articles that tell you any of the following are requirements for eternal life, “the performance of any works, the promise of any future works, or the evidence of any works,” (to quote our friend John), such are teaching a false “gospel,” which is no Gospel at all. (Examples: Repent, turn from sins to be saved, Turn or burn, make Jesus the “Lord of your life” or commit your life to Christ to be saved, persevere to the end, etc.) These are all Satan’s add-on to the precious Gospel of God’s Grace and totally pervert the Gospel (Good News). Believers who still believe the gospel, but teach error out of a personal motive. Believers who no longer believe that salvation is by grace alone, through faith alone, in Christ alone (Luke 8:13, Galatians 5:4). Non-believers, who are counting on their own righteousness to get into heaven (Matthew 7:15 and Matthew 23:15). Satan’s ministers, disguised as ministers of righteousness (2 Corinthians 11:15). While the first and second groups are saved, and therefore eternally secure, all who preach false gospels are under a curse (Galatians 1:8-9). To even attempt to discern the motives behind the person doing the false preaching, we must carefully analyze them, their behavior and their statements. Ignorance or misuse of scripture – includes use of “proof texts”, always out of context, as well as use of poor or plainly false Bible translations. Sense of belonging – desires to be part of something big and exciting, with lots of structured programs for kids, etc. Willfully blind to obvious error. Respect for authority – putting the doctrine of men on par with, or above, the word of God. Social pressure – a desire to hold a position of honor, even it requires compromise. Financial allure – big churchs, big money, lucrative demand for books, etc. Eat the meat and spit out the bones “theology” – disregarding the Biblical warnings to separate from false teachers/teaching. Ecumenism – going along to get along. Fear of “failure” – desiring the praise of men above the praise of God. Hero-worship – reverence for icons of evangelicalism, such as Calvin, Spurgeon, Billy Graham, etc. Gatekeeping – They don’t want “nominal Christians” in their midst, so they change the Gospel from Grace to fit their own rules of behavior. A Feeling of Spiritual Invincibility – Failure to separate from false doctrine – as if they are not susceptible to being misled by false teaching – thus they let down their guard and find no need to put on the full armor of God (Ephesians 6:11). It should come as no big surprise that non-believers also teach false gospels for many of the same reasons as those who purport to be believers in Christ — even so, each of them manage to slip in a teaching of Lordship “salvation” (probation). The “Christian” world is running amok with false doctrines proclaimed by Lordship “salvation” (LS) and Calvinist deceivers. We find that most LSers are Calvinists and vice versa. LSers usually include the many faces of Calvinism, i.e. Traditional, New, Hyper, “Moderate,”some Baptists, etc. Thus, since it fits, we use the acronym, “LS” to include all “works salvation” promoters. We at ExPreacherMan have written many articles about those whose desire it is to advance, promote and subsidize the false message of LS. You may search our numerous, informative articles here. The objective of this brief article is to clearly define LS, in as few words as possible, so believers in Jesus Christ may be equipped to discern between the truth of God’s Word and the lies being advanced in His name. LS is the unsupportable belief that the performance of works, the promise of works, or the evidence of works MUST accompany faith in Christ in order to make that faith result in eternal life. In addition to the above, people who believe and teach LS don’t currently believe the Gospel and need to be confronted with that reality. They need our prayers. One wonders why so many thousands of seeking souls flock to the false message of LS. Could it be a cultic draw by charismatic personalities who manipulate scripture, relish the attention, fame and (incidentally) the dollars cleverly conned from their followers? We at ExPreacherMan take great care in proclaiming the Truth of the Gospel of Salvation by Grace Alone through Faith Alone in Jesus Christ Alone. We know the doctrine of Salvation by God’s Grace alone is Biblically verifiable and true. (Ephesians 2:8-9). Such Great Salvation is absolutely independent of any Biblical mandate for a performance of “good works,” before, during or after a person makes that one-time decision to trust Jesus Christ as Savior. That is Grace. Therefore, we at ExP have created a Page whereby our readers may visit and browse a list, of teachers, preachers, writers and organizations who pervert the Biblical doctrine of God’s Free Grace. We include descriptions, evidence and (in most cases) links to those whom we discuss. 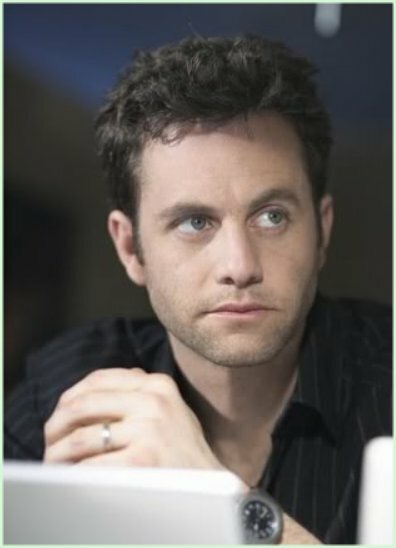 Lordship “Salvation” Icon Kirk Cameron, Promotes Calvin’s Geneva Bible and Teams Up With Liberty University. Promoting the sale of John Calvin’s terrible Geneva Bible on TV and news web site like World Net Daily. Teaming with Calvinist LSer, John MacArthur on YouTube about their unbiblical idea of the way of Salvation. I’ll not provide the link — but they both agreed that total submission, heart, mind, soul and body to the Lordship of Christ “is the only way of salvation.” Total apostasy!!! Cameron has been a long-time friend and compatriot of apostate “evangelist” Ray Comfort. We have commented many times about the terrible doctrine of Comfort. Here is one comment by our friend Holly Garcia: Link:>> Comfort- 2013/07/23 at 6:11 pm If there was ever any doubt about Comfort and Cameron preaching an accursed message — this will dispel it. You may follow the link for further excellent comments from our readers. That time has come. We who know the Truth must preach the Word, in context, the Gospel of the Good news of the Death, Burial and Resurrection of our Savior (1 Corinthians 15:1-8) as His all sufficient provision for anyone’s salvation by Grace through Faith in Jesus Christ alone!!! (Ephesians 2:8-9) No more, no less! !